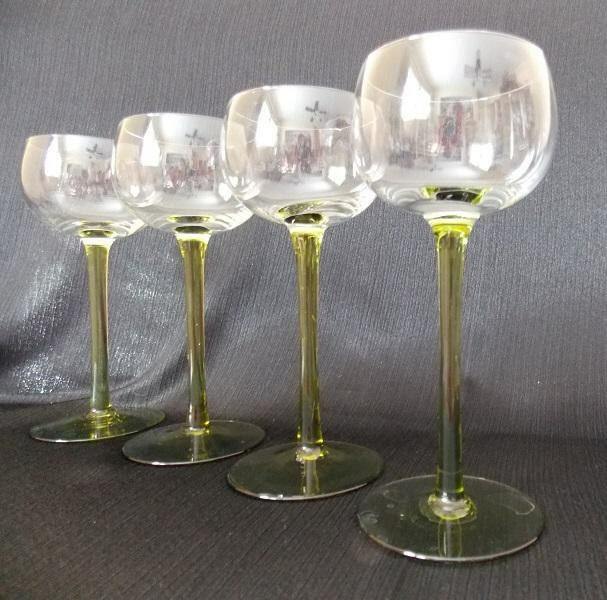 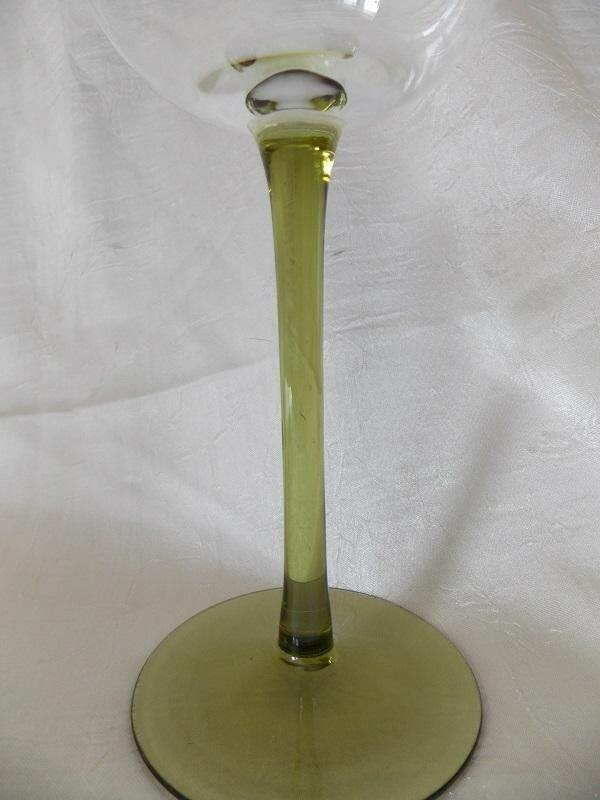 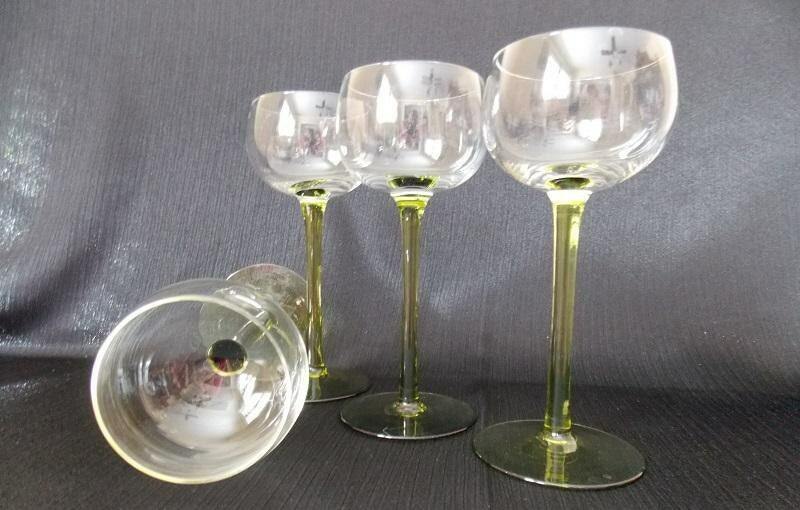 This set of four crystal liqueur glasses are tall and sleek with mid-century modern design. 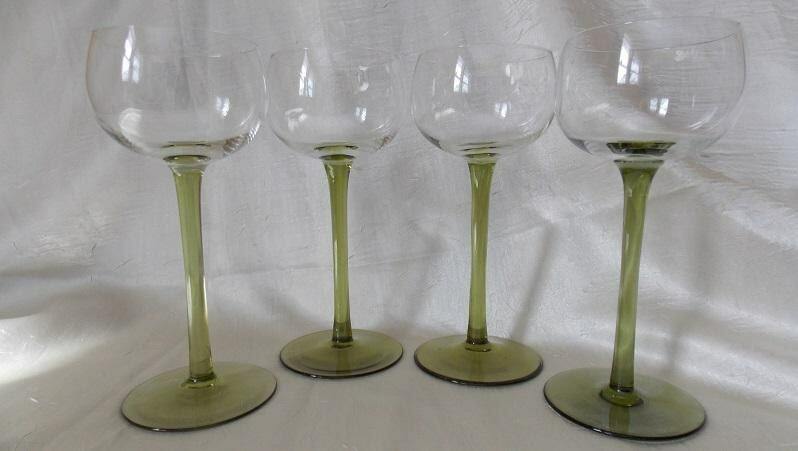 They have smaller clear glass bowl with a thin green stem and base. 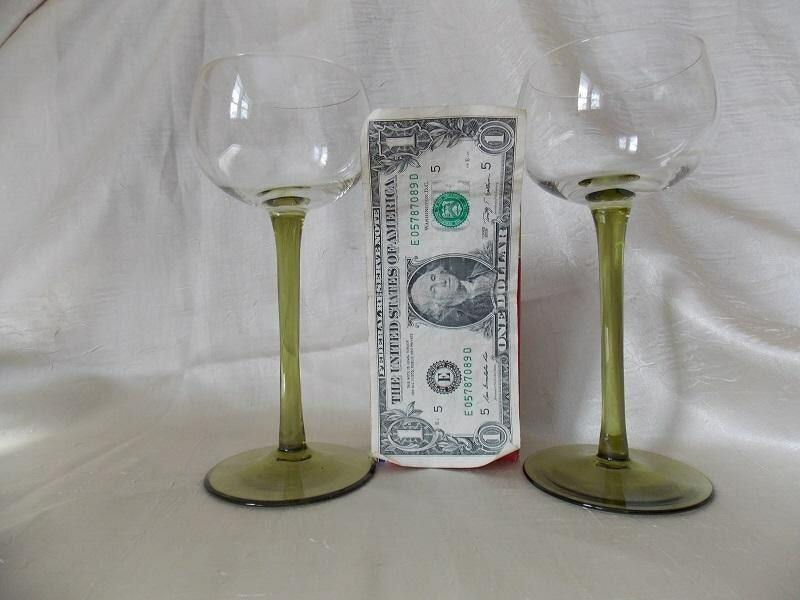 These glasses are in excellent condition with no chips or cracks.